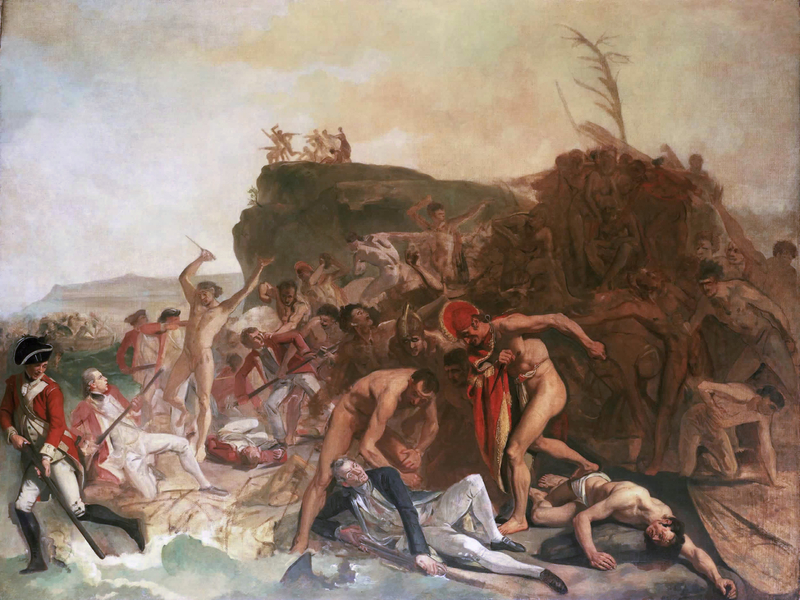 If you’re planning on studying-up on your Hawaii history before you visit, you’ll likely come across the name, Captain James Cook. By becoming the first Westerner to arrive in Hawaii in 1779, he effectively changed the course of history for Hawaii as we know it. Pretty important guy, eh? 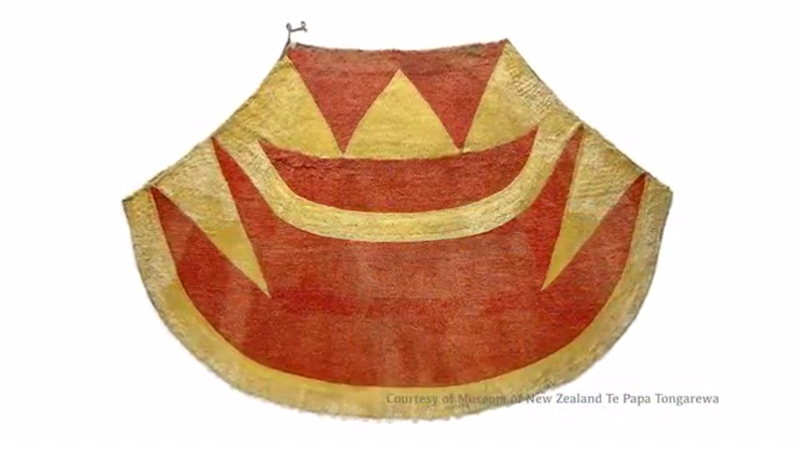 After this historic landing, Chief Kalaniopuu (the chief of Hawaii Island at the time) gifted the ahu ula (feathered cloak) and mahiole (feathered helmet) he was wearing to Captain Cook as a gesture of goodwill. But, when Captain Cook returned about a month later, things didn’t go as well, and a violent clash resulted in his death. So, what happened to the ahu ula and mahiole? Turns out, they were left on Captain Cook’s ship during the incident, taken back to England, and passed through the hands of various museum owners and collectors. Eventually, they came under the care of a museum in New Zealand. But now, they’re both on display at the Bishop Museum on Oahu, and you have the chance to see both of them together in Hawaii for the first time since they left its shores on Captain Cook’s ship 237 years ago. The feathered cloak and helmet have great extrinsic value, but more importantly, they possess great intrinsic and spiritual significance. For Native Hawaiians, the ahu ula, mahiole, and all other featherwork were reserved exclusively for the use of their alii (royalty), symbolizing their chiefly divinity, rank and power. It embodied the life essence of a thriving abundant environment which are the telltale signs of leadership, as it takes a healthy forest ecosystem to produce enough bird feathers and cordage to make these regal pieces. From a historical perspective, the artifacts represent a period in the timeline of Hawaii when there was a balance between the cultural, political and spiritual parts of Native Hawaiians and the environment. This ahu ula in particular has feathers from about 20,000 birds. The trappers often harvested only a few feathers from each bird before releasing them back into the wild so they could produce more feathers. Skilled workers belonging to the alii class crafted the olona cordage backing, a netting used as the foundation for the cloak, onto which the bundles of feathers were attached, creating bold designs. The ahu ula, in particular has feathers from about 20,000 birds. The ahu ula and mahiole of Kalaniopuu will then be on long-term loan from Te Papa Tongarewa for at least 10 years. The items are a reminder of the generosity of the Hawaiian people when Westerners first arrived — and the fate of Captain Cook soon after. So, after a morning of kayaking, surfing, or paddle boarding in Waikiki, dry-off with a Hawaii history lesson right around the corner.